Once there lived an innkeeper who did not believe in the power of Tzaddikim, while his wife believed in Tzaddikim very sincerely. It happened that his business dealings took a turn for the worse, and he had not paid the landowner his rent for three years. The landowner set a date, and warned him that if he would not pay his debt, he would throw him in prison and evict his family. When the date approached and the required sum was still lacking, the wife returned and urged her husband until he became so sick of it that he said: “What do you want from me? If you want, travel there yourself!” So the woman did. When she arrived, she met another woman who had come to the Ruzhiner to ask for a blessing for her husband to have a speedy recovery. Both women wrote their written requests, and the assistant took their letters and delivered them to the Ruzhiner. However, when the assistant left the Ruzhiner’s room, he mistakenly switched the responses that the Ruzhiner had given him: To the woman who asked for a blessing for her husband’s speedy recovery, the assistant responded in the Ruzhiner’s name that G–d would help her; while to the woman whose husband was an innkeeper, the assistant responded in the Ruzhiner’s name that she should put bankes (small hot glass cups that were placed on the back of the sick person, which sucked in the flesh until blood would flow, thought to be a remedy). But as the date of payment drew closer and the innkeeper was unable to pay, his wife said to him on the day of the repayment: “Look, the landowner is preparing to throw you into prison regardless. 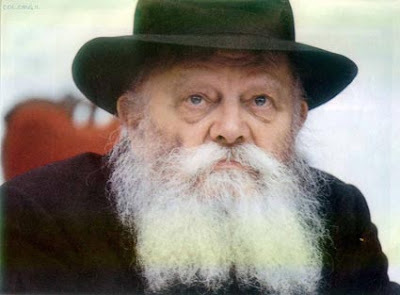 What do you have to lose by listening to the Tzaddik’s advice? Lie in your bed, and I will affix bankes to your back.” At a loss, this time the man consented. The landowner had pity on the Jew, and said: “If so, I forgive the entire debt. And since it was on my account that they hit you so cruelly, I will even forgive the payment for the next three years in advance!” So did the bankes save the tenant and his family. 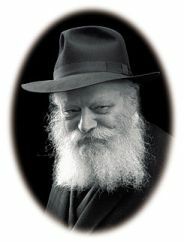 When the Ruzhiner finished relating the story, he added: “When the woman’s note reached me, I saw that it was not possible to help her, so I wrote, ‘May G–d help’ [which was a way of saying that the Tzaddik would not give a blessing]. Obviously it did not occur to me to tell her to prepare bankes for her husband, and that was a mistake of the assistant. Rather, it was the woman’s pure faith in Tzaddikim that brought the salvation! Translated from Sippurim Chasidiyim, Vol. 1, p. 68.